Since he was admitted to the Louisiana bar in 1987, Chip Marionneaux’s practice has focused on civil and criminal litigation. During his career, he has been lead counsel and co-counsel in state and federal litigation representing clients ranging from Fortune 50 companies to local businesses, governmental agencies, and individuals. 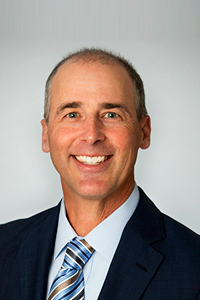 His practice areas include toxic torts, mass torts, class action defense, business litigation, complex litigation, property disputes, wrongful termination, corporate and individual criminal defense (white collar and heavy felony), wrongful death, civil and criminal appeals, and state and federal grand jury matters. Before joining Bienvenu Bonnecaze, Chip was a partner at Marionneaux & Marionneaux, APLC, in his hometown of Plaquemine, LA. He has always been active within the 18th JDC (comprised of Iberville, Pointe Coupee and West Baton Rouge Parishes) and was a long time president of the 18th Judicial District Bar Association. In 2014, Chip agreed to become in-house litigation counsel for one of his longtime clients, Axiall Corporation (an international chemical manufacturer). His responsibilities included crafting litigation strategy and managing cases across the United States and Canada, as well as directly representing the company and its subsidiaries in federal and state civil and administrative matters. After three years as in-house counsel, Chip decided it was time to get back into the courtroom. He chose Bienvenu Bonnecaze because of our firm’s philosophy of treating clients as partners and our innovative approach to litigation. Greene v. Syngenta Crop Protection, Inc., - Lead counsel for chemical manufacture sued by former employee seeking continuation of disability benefits (207 F.Supp.2d 537 (M.D. La. 6/7/2002), decision granting summary judgment in favor of company.